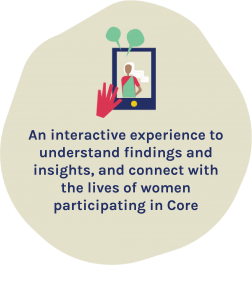 Core is a pioneering three-year project (2018–2020) aiming to better understand, equip and empower women to lead healthier sexual and reproductive lives. 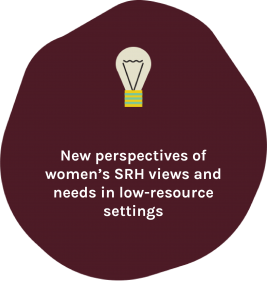 Moving beyond vertically-driven thinking about care-provision, Core charts a way forward to better respond to dynamic sexual and reproductive health care-seeking behaviours among women in India, Kenya, Nigeria and Tanzania. 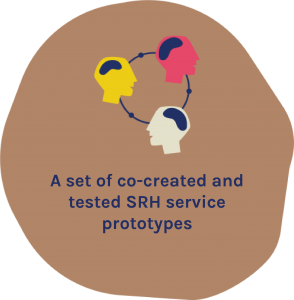 It combines human-centered design and interdisciplinary approaches to co-create new solutions for women’s sexual and reproductive health and wellbeing. The project is supported by the Bill & Melinda Gates Foundation and implemented by M4ID, in close collaboration with in-country and global partners. Core builds on existing evidence and research relating to women’s sexual and reproductive health (SRH). 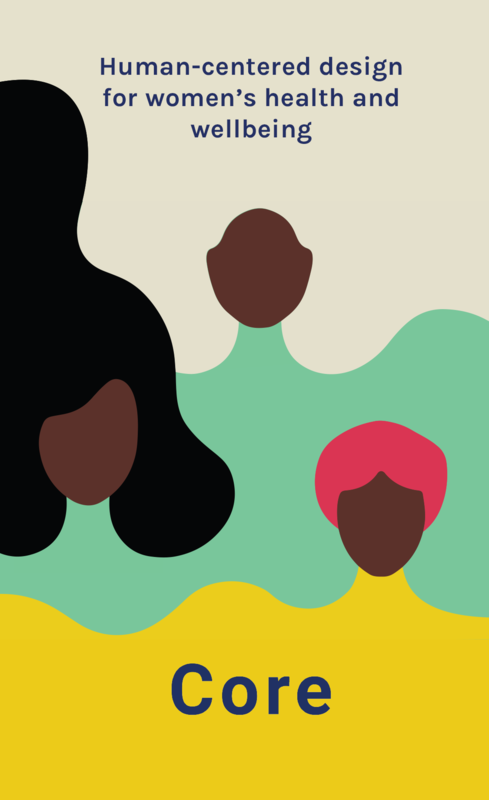 Human-centered design and interdisciplinary practice enable it to draw fresh insights from women and their communities as well as from experts and practitioners to fill information and service innovation gaps in this field. The life course approach provides a framework focused on transition points, i.e., sensitive moments of change or disruption in biological, psychological or social circumstances during women’s lifetimes, presenting us with a lens to understand individual trajectories and examine how past experiences may influence future health outcomes. Human-centered design to co-create services for women's health and wellbeing. Get project updates straight to your inbox, subscribe to the Core Newsletter here!